These old photos appeared in an Arabic-language newspaper in the Middle East in January 2012. They show Taheya Carioca at Badia Masabni's dairy farm in Lebanon some time after Badia retired from show business. 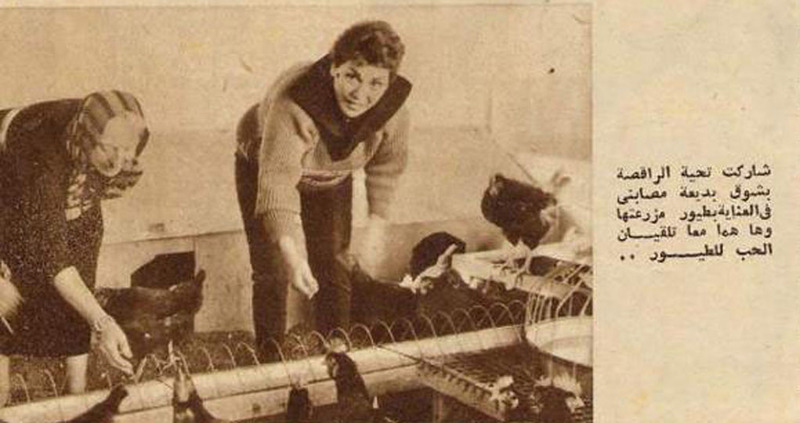 Note the photo of Badia wearing a fur coat in the middle of her farm as if she were on her way to the Academy Awards. 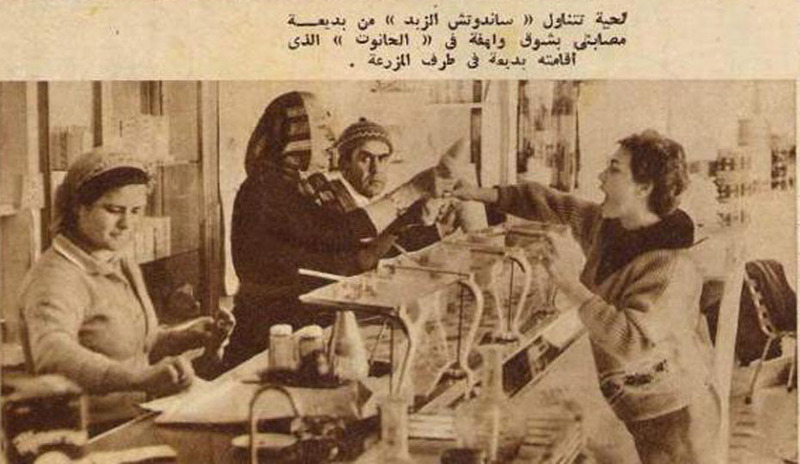 Interestingly, Badia's farm and the store still stand today in Lebanon and are quite famous. They are now run by Badia's relatives. It's a popular stop on the way to Zahle and they still sell produce from the farm there as well as sandwiches and juice. Click on any of the photos below to see more detail. 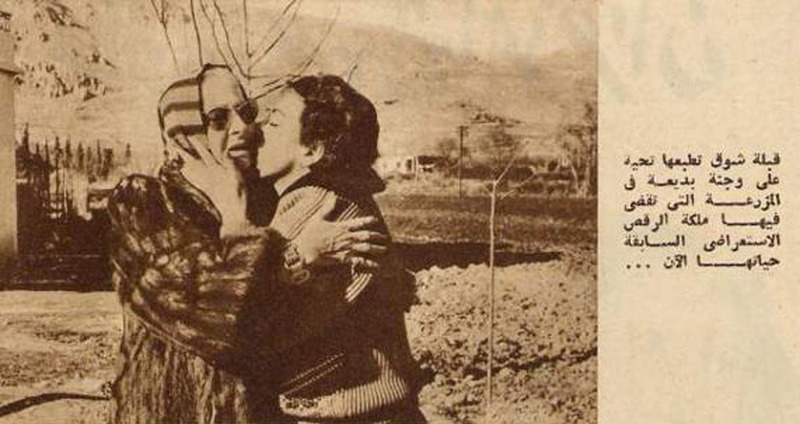 The caption next to the first picture says, "Taheya plants an earnest kiss on Badia's cheek at the farm where the former Queen of the Dance Shows now spends her life." The caption next to the second picture says, " Taheya eagerly assisted Badia in caring for the chickens on the farm and together they throw seeds to the hens." The third picture says, "Taheya eagerly takes a butter sandwich from Badia in the store that Badia runs at her farm."